There’s a great selection of Chesterfield accommodation to choose from. You can stay in four-star luxury hotel or at a cosy B&B. There are also character holiday homes and camping and caravan sites in the beautiful countryside around Chesterfield. 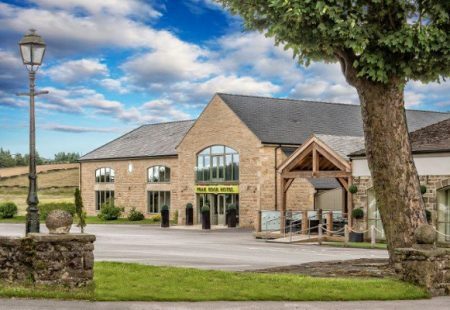 For both the business traveller and the leisure visitor, Chesterfield accommodation offers a great starting point from which to explore the town with its shopping, heritage and businesses or to visit the Peak District and surrounding area. 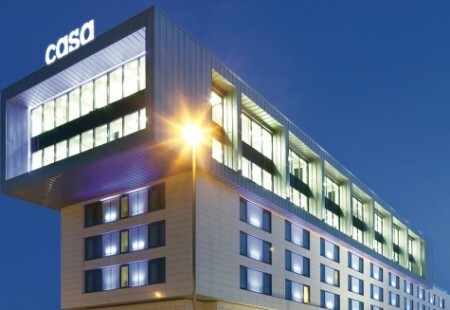 Casa Hotel in Chesterfield has been rated the 5th best hotel in the Trip advisor travellers choice awards 2015. This top Chesterfield accommodation has became the town’s first 4 star hotel and has achieved the highest AA score in Derbyshire. The Hotel has also won the Late Rooms Best Kept Secret Award for the comfiest bed in Britain and prides itself on it locally sourced produce. Van Dyk is a luxury 4* country house hotel located just off junction 30 of the M1 in Clowne. The hotel boasts an AA Food Rosette and offers a vast array of culinary experiences in both the Southgate Grill and Bowden Restaurants; considered two of the area’s best restaurants. The house has recently undergone over £1 million in refurbishments to become the beautiful 15 bedroom boutique, Hotel Van Dyk. 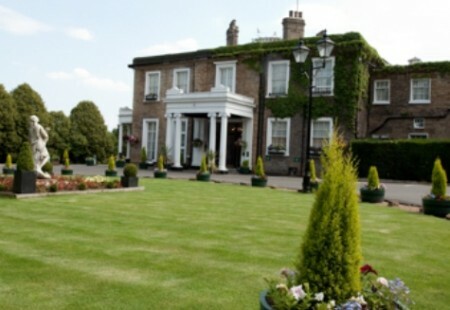 The hotel is a popular licensed wedding venue with a beautiful draped Ballroom and idyllic gardens. Ringwood Hall Hotel & Spa is a splendid 4 star AA Georgian grade 2 listed Manor House. The hotel offers 74 executive style bedrooms, plus 4 fourposters, over a dozen highly specified Feature Rooms, plus 3 apartments in the hotel grounds. The hotel is a very popular wedding, conference, private dining and banqueting venue, while the 29 acres of grounds are ideal for team building activities, corporate events or away days. In May 2018, the hotel opened its new Garden Secret Spa. Peak Edge Hotel, is a 4 star, modern boutique hotel nestled on the edge of Derbyshire’s Peak District National Park. 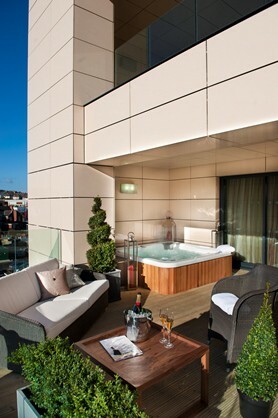 The luxury boutique hotel has 27 bedrooms which all boast stunning views over the Derbyshire Countryside. 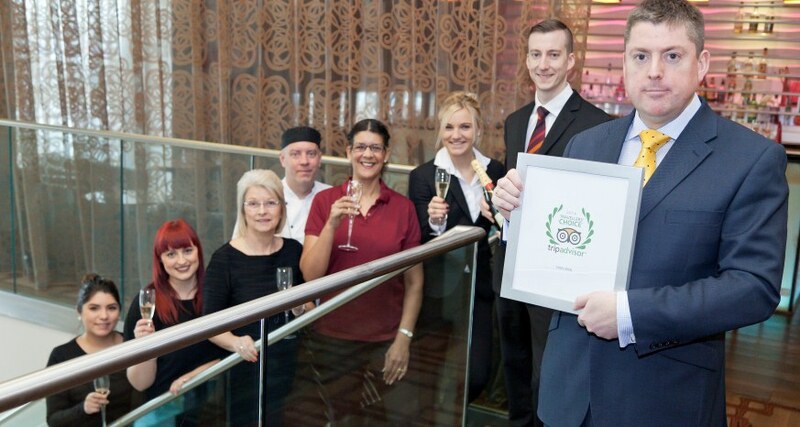 The Peak Edge Hotel has been voted one of Trip Advisors Travellers’ Choice top 10 best small hotels in the country and prides itself on its staff who go that one step further to make sure your stay is one you will never forget. Combine all this together and you have the perfect place to stay, hold your Wedding, Corporate Event or any other Special Celebration, no matter how large or small. The owners of award-winning Stephensons Tea and Coffee House have expanded their portfolio to include three brand-new, luxury bed and breakfast suites. Stephenson’s Bed and Breakfast, situated in the centre of Chesterfield, offers high quality, large rooms, with one boasting amazing views of the Crooked Spire. Breakfast is served at the newly-refurbished Stephensons Tea and Coffee House, which is on the first floor of the same building. With Chesterfield accommodation to suit every taste you will find quality inspected properties that provide great value for money and are part of your experience of visiting Chesterfield. A beautiful Georgian grade 11 listed Manor House, Ringwood Hall Hotel is nearby to Chesterfield town centre and at the gateway to the Peak District. A four star, modern boutique hotel nestled on the edge of Derbyshire’s Peak District National Park. Voted 5th best hotel in the UK at the 2015 Trip Advisor Travellers’ Choice Awards, the AA four star Casa Hotel is the highest rated hotel in Derbyshire.